must be observed that subtle divergences from the original style mark all five unmistakably as being Sheratonian versions, both in respect of form and embellishment. Still, the source of their inspiration is not to be denied, and I am inclined to think that Sheraton would have been one of the first to acknowledge it, for commercial if not for any other reasons. In his day, all things " French " were in demand in this country, and any designs that savoured of Paris were almost certain of a hearty welcome from the public. 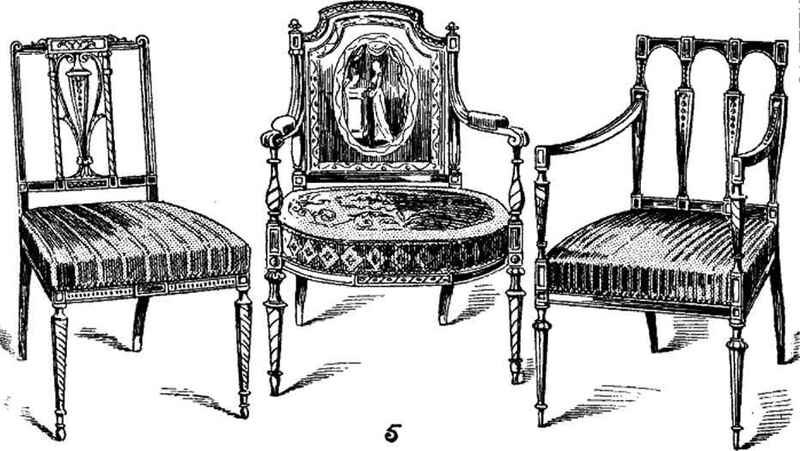 Figures 4 and 6 on the same plate, are, on the other hand, in every respect pure " Sheraton," and that without the " Louis-Seize " qualification; but a better and more complete idea of all the leading characteristics of the chair-work of this master may be gained by an examination of Plate II., upon which his most characteristic chair-backs are represented, and which practically constitutes, in itself, an exhaustive summing-up of his ideas with regard to chairs. Figures 6 and 15 are exceptions,for they cannotbe described as pure u Sheraton/' but should rather come under the heading of " Heppelwhite." In the preceding chapter I have dealt somewhat exhaustively with the relationship subsisting between the two shield-shapes as found in these respective styles, explaining how one may be distinguished from the other; but I may remind the reader that, when that form is employed by Sheraton, the curve at the top is in all cases broken in the centre, as shown, instead of being continuous as in the « Heppelwhite " backs. 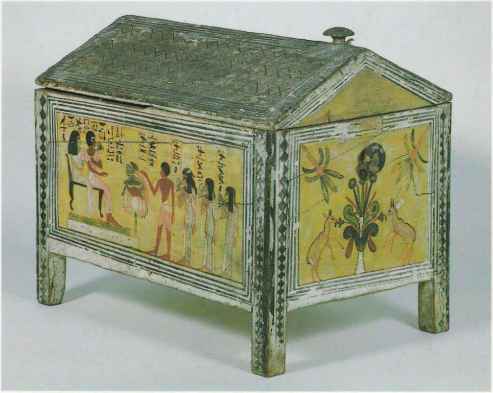 Other subtle points of difference also have been made clear (see page 139). 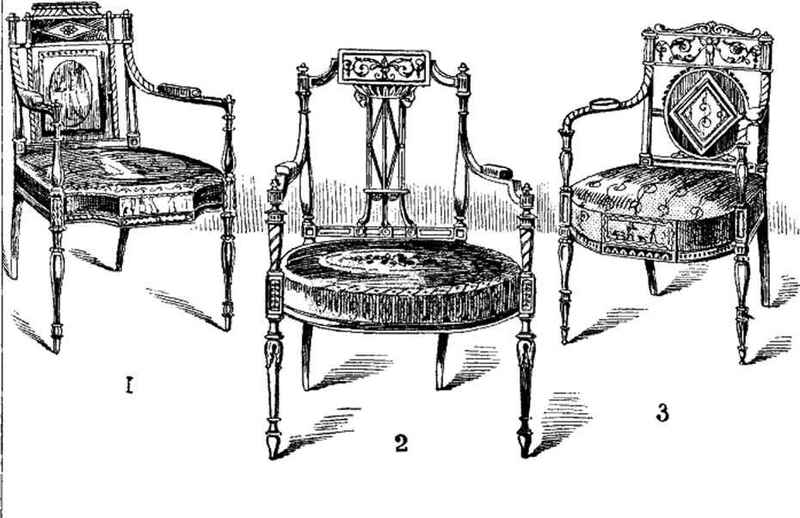 Knowing these, the collector, when called upon to pronounce judgment on chairs of this class, will be able to decide immediately which is which, even when the books in which the illustrations originally appeared are not available for reference—and they seldom are in cases of emergency.